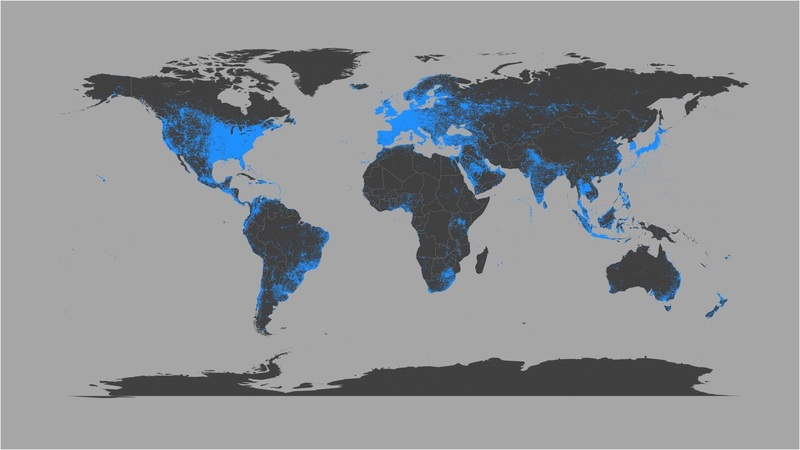 Map showing the locations of 100 million image tweets shared between 09/2011—06/2014 (random sample from the complete dataset of 270 million tweets). Learn more on the project website Visual Earth. 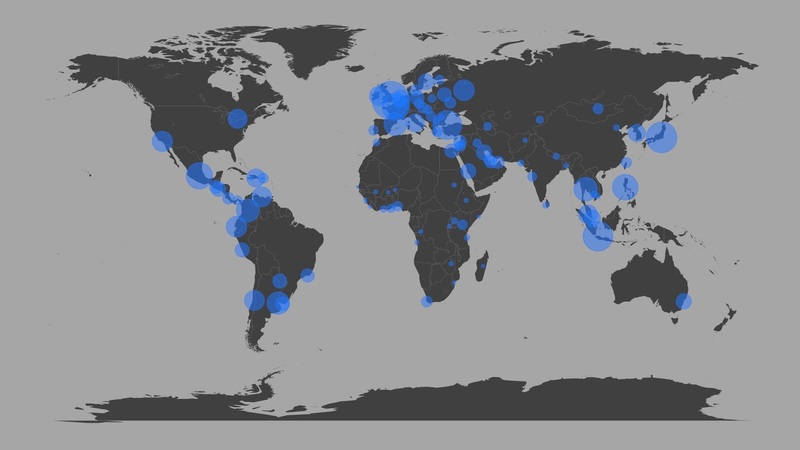 Among the project's findings are the large differences in image sharing growth between these 100 cities. For example, over a 30 month period, the average monthly growth rate was 33.4% in Baghdad and 20.4% in Caracas, but only 9% in London and 9.2% in Barcelona. We analyzed these differences in relation to the level of economic development of the countries where our 100 cities are located, and found a systematic relationship. The lower the level of economic development, the faster the rate of growth of image sharing. The project website, http://visual-earth.net discusses other findings including global image sharing growth trends, geographic differences by sub-continent, relationship between image sharing and population age, as well as major trends in the visual characteristics of the images. In addition to presenting the findings, we also propose our predictions for future growth in developing versus developed areas.